In the State of Kansas, the terms DUI and DWI are used interchangeably, although the more common term in Kansas is DUI – where DWI is more common in the State of Missouri. 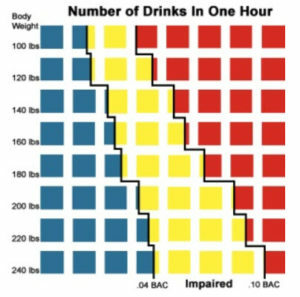 Regardless of what they’re called on one side of the state line or the other, each means essentially the same thing: trouble for those who are caught with a blood-alcohol content (BAC) of 0.08% or more. Fortunately, there’s help available from DUI Attorney Michael Millett. DUI Charges in Kansas? Call (913) 648-3733 for DUI Attorney Michael Millett immediately. Driving Under the Influence and Driving While Intoxicated both mean “operating a vehicle while impaired or intoxicated.” Typically, these charges are related to alcohol, but in Kansas, as with many states, it extends to other drugs or substances. The consequences for driving under the influence can be substantial – so it’s always best to consult with an experienced, aggressive DUI lawyer as soon as you can. In Kansas if you do not request an administrative hearing within 14 days after receiving your pink sheet (the DC-27 form) then you will lose your chance to try and keep your license. As serious as these consequences may be, they escalate and get much more severe with a 2nd conviction, 3rd conviction, or more. Therefore, if you’re facing DUI charges in Kansas, it’s essential that you speak with a aggressive DUI defense attorney who will handle your case with skill, passion, and great attention to detail. Aggressive representation is essential to achieve the most favorable result possible. Supporting text for the YouTube video: Attorney Michael Millett has successfully argued DUI cases before the Kansas Supreme Court. Click the YouTube link above to hear his argument from September 5th, 2007. Millett Law handles DUIs, DWIs, misdemeanor and felony criminal cases in Federal, State, Municipal, Juvenile, and Appellate Courts in the Kansas City area and throughout the State of Kansas. Call Millett Law and let us help to minimize the potential impact on your life. To speak with Attorney Michael Millett or schedule a consultation, call (913) 648-3733 day or night.